Renaissance Embroidered Long Skirt Ethnic unique fashion from across the world at a competitive price. A luxurious blend of colors and textures enriched by a unique flowers or patterns. Attention to detail yields a sturdy, professional costume without equal. 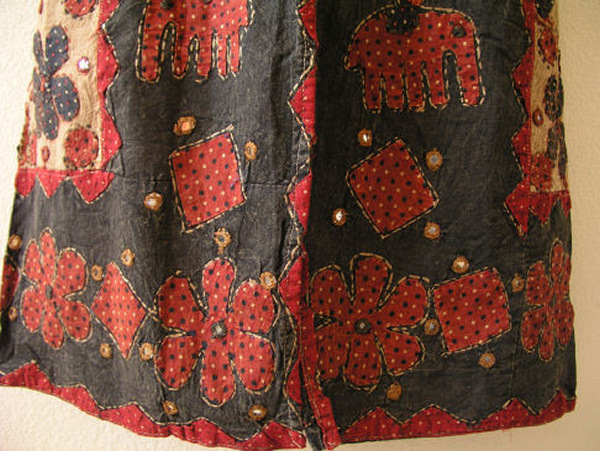 The embroidery and mirrors creates the design are sewn throughout the skirt. 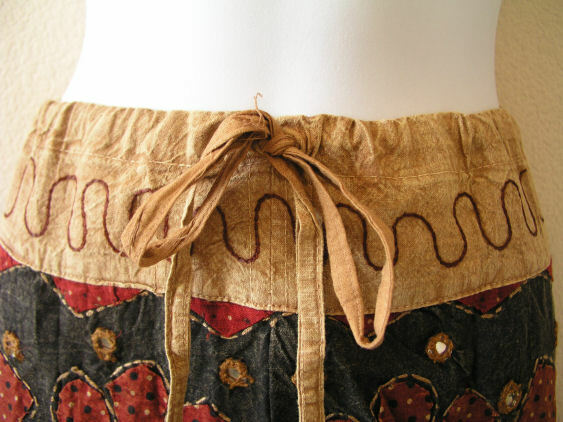 This skirt has a string pull waist band. There is a flattering 16 inches slit up at the bottom of the skirt.